The International Criminal Police Organization � INTERPOL with headquarters at 200 quai Charles de Gaulle, 69006 Lyon, France is launching an open call for bids with a view to the conclusion and execution of contract, the objective of an identity search engine that shall enhance the quality of search results. The Solution is to be an add-on to the Organization�s existing search facilities, designed to search nominal data. The features of this Solution are further described in the Specifications. INTERPOL is presently conducting a feasibility study on the creation of an electronic passport (e-passport) that would reflect state-of-the-art security features and processes. The INTERPOL e-passport will be created for Heads of National Central Bureaus (NCBs), INTERPOL General Secretariat officials, and elected members of INTERPOL�s governing bodies to confirm the bearer�s identity as an official or representative of INTERPOL and to facilitate international travel for official purposes. Companies and consortiums are invited to express their interest to sponsor the design and production of a state-of-the-art INTERPOL e-passport meeting ICAO standards. My Note – Well, of course they do . . .
What Are The NVCA Model Venture Capital Financing Documents? All templates were reviewed in January of 2008 and updated as deemed appropriate by our model legal docs working group. In general, these documents are intended to reflect current practices and customs, and we have attempted to note where the West Coast and East Coast differ in a number of their practices. Over the past few years, much attention has been paid to the development of guidelines and standards that could impact the venture capital community. These reporting standards and guidelines generally fall into two categories: (a) performance presentation formats and (b) portfolio company valuation guidelines. For easy reference links to the publications in three of the official UN languages – English, Español & Français – are included as well. di coordinamento ed incrementare la parte di risorse destinate ai programmi. di un pianeta ove le Nazioni siano veramente Unite. uno dei cardini della propria politica estera. che riuniscono i vari Stati, primo fra tutti l’ONU. dei maggiori poteri decisionali vincolanti. un ciclo completo di istruzione primaria. infantile al di sotto dei cinque anni d’età. 1990 e il 2015, il tasso di mortalità materna. 2015, la tendenza alla diffusione dell’HIV/AIDS. L’ Istituto di Ricerca delle Nazioni Unite sul Disarmo (UNIDIR dall’inglese United Nations Institute for Disarmament Research) è un’agenzia indipendente delle Nazioni Unite creata nel, che si occupa di supervisionare e promuovere il disarmo(soprattutto nucleare) dei paesi aderenti alle Nazioni Unite. L’Unidir è nato in base alle disposizioni finali de “Prima sessione speciale dell’Assemblea Generale delle Nazioni Unite sul disarmo” nel 1978.L’agenzia presenta ogni anno un rapporto sul suo lavoro all’Assemblea Generale. Fornire alla comunità internazionale dati certi sugli armamenti, sui tipi di armamenti in dotazione ai vari paesi e sul disarmo(specie quello nucleare) al fine di facilitare dei negoziati sul disarmo che possano rendere le nazioni più sicure con uno sviluppo economico e sociale più sicuro. Promuovere la partecipazione di tutti gli stati nei programmi di disarmo. Lavorare per creare dei negoziati per il disarmo, dissuadere i paesi dal dotarsi di armamenti atomici. Lavorare in stretta collaborazione con l’AIEA per effettuare ricerche più approfondite sugli arsenali degli eserciti dei vari paesi, al fine di avere la sicurezza di aver sotto controllo il numero armi(specie nucleari) in possesso dei vari stati. Verificare il rispetto degli impegni presi nel Trattato di non proliferazione nucleare e negli Accordi START. Aim: bans nuclear testing everywhere on planet – surface, atmosphere, underwater and underground. Around 70% of these facilities are already sending data to the International Data Centre at the CTBTO headquarters in Vienna. explosions such as mine explosions or the nuclear test announced by the DPRK in 2006, are also detected. explosions can travel extremely far underwater. ear) that are emitted by large explosions. methods was actually nuclear or not. They are supported by 16 radionuclide laboratories. CTBT has entered into force. A large on-site inspection exercise was carried out in September 2008 in Kazakhstan. timely data), research on the Earth’s core, monitoring of earthquakes and volcanoes; research on the oceans, climate change research and many other applications. La sécurité et le développement à long terme, qui garantissent l’alimentation, l’éducation, le logement et l’infrastructure économique, sont presque impossibles dans les régions déchirées par des conflits. Il arrive souvent que la communauté mondiale investisse encore et encore dans certaines régions, avant de voir un nouveau conflit éclater et venir détruire les progrès difficilement enregistrés. Les efforts de développement sont inutiles à moins de parvenir à maîtriser ces conflits et empêcher de nouvelles guerres. De plus, dans les régions instables, l’accumulation d’armes accroît les risques de violence et mobilise des ressources qui seraient précieuses pour des initiatives de développement humain dont le besoin se fait cruellement sentir. Le programme de recherche de l’UNIDIR tente d’apporter des réponses à ces problèmes. L’UNIDIR, qui souhaite insuffler des idées nouvelles à la logique de sécurité, rapproche les questions de sécurité, de désarmement et de développement pour montrer que la sécurité, à quelque niveau que ce soit – national, régional ou mondial – est toujours une question de sécurité humaine. Pour l’UNIDIR, le sort des populations doit être une priorité dans les débats sur la sécurité et le désarmement, un choix qui devrait – nous l’espérons – contribuer de manière significative à une paix durable. Le 12 mars 2009, l’UNIDIR a organisé un séminaire intitulé « Les approches multilatérales du cycle du combustible nucléaire ». Les enregistrements audio des présentations sont disponibles sur notre site. Les enregistrements audio de certains séminaires sont disponibles sur notre page multimédia. On 12 March 2009, UNIDIR hosted a seminar entitled ” Multilateral Approaches to the Nuclear Fuel Cycle “. Audio files of the presentations are available online. Check our media page for audio files of presentations made at our recent seminars. The Value of Diversity in Multilateral Disarmament Work, J. Borrie & A. Thornton, 2008. Security in Space: The Next Generation, 2008. Implementing the UN Programme of Action on Small Arms and Light Weapons: Analysis of the National Reports Submitted by States from 2002 to 2008, S. Parker, & S. Cattaneo, 2008. “The ‘long year’: Emerging international efforts to address the humanitarian impacts of cluster munitions, 2006–2007”, J. Borrie, in the Yearbook of International Humanitarian Law, vol. 10, 2007. Summary report of the Disarmament Insight symposium entitled “Learn, Adapt, Succeed: Potential Lessons from the Ottawa and Oslo processes“. 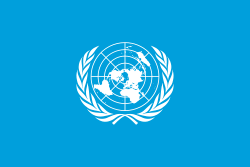 UNIDIR is not responsible for the content of external websites. These links are provided as a resource. External links do not reflect the views or opinions of the United Nations, UNIDIR, its staff members or sponsors. Look it up. It is really amazing. The more you know, the more you can do. The more you can do, the more options you have and the more opportunities you can create. And, after awhile, whole new worlds open up to you to explore, experience and engage. Chaos theory in organizational development refers to a subset of chaos theory which incorporates principles of quantum mechanics and presents them in a complex systems environment. The primary goal of an organizational development (OD) consultant is to initiate, facilitate, and support successful change in an organization. Using chaos theory as the sole model for change may be far too risky for any stakeholder buy-in. The concept of uncertainty on which chaos theory relies is not an appealing motive for change compared to many alternative “safer” models of organizational change which entail less risk. By careful planning and management of disorder a successful intervention is possible, but only with a truly dedicated arsenal of talented and creative resources. By permitting or actively forcing an organization to enter a chaotic state, change becomes inevitable and bifurcation imminent; but the question remains, “Will the new direction be the one intended?” In order to account for the direction of the new thrust, most planning attention should be focused on attractors instead of the initiation of disorder. Although chaos eventually gives way to self-organization, how can we control the duration, intensity, and shape of its outcome? It seems that punctuating equilibrium and instilling disorder in an organization is risky business. Throwing an organization off balance could possibly send it in a downward spiral towards dissemination by ultimately compromising the structural integrity (i.e. identity) of the system to the point of no return. The only way to reap the benefits of chaos theory in OD while maintaining a sense of security is to adjust the organization towards a state of existence which lies “on the edge of chaos”. By existing on the edge of chaos, organizations are forced to find new, creative ways to compete and stay ahead. Good examples of such learning organizations are found throughout the field of technology as well as the airline industry, namely organizations such as Southwest Airlines, which used re-invention not just for survival, but also to prosper in an otherwise dismal market. In contrast, there are organizations which, due to extended periods of equilibrium, find themselves struggling for survival. Telephone companies, for instance, were once solid and static entities that dominated the communication market. While the rest of the world was developing new communication technology, telephone companies did not creatively grow at the same rate. The result is an organization that is battling to stay alive unless they embrace the element of chaos due to crisis, and allow creative adaptability to function freely so that self-organization and re-invention can occur. Viewing an atom as a complex system in itself, and magnifying the interactional effects of sub-atomic particles and waves to reflect the interactions of different elements making up a complex system, such as an organization, assists us in seeing parallels between quantum physics (namely chaos theory) and organizational relationships. What must be pointed out, however, is that these “parallels” between organizations and the sub-atomic particles exist largely in terms of analogy (metaphorically) between two very different domains of activity; the interactional effects of sub-atomic particles, in quantum mechanics, are expressed in terms of math; bringly these theories into the domain of human activity can be seen as problematical. Although these parallels are easily witnessed in regard to complex organizational systems, it is difficult to see evidence of irrational quantum-effects in everyday life. If you roll a ball forward, it rolls forward in the general direction intended. As a whole, Newtonian principles of interaction stand solidly within the bounds of macrophysics. But at the sub-atomic level, things do not act as expected. “At the subatomic level, the objectivity found in classical physics is replaced by quantum subjectivity.” (Shelton, 2003) The introduction of chaos theory brings the principles of quantum physics to the pragmatic world. These complex systems have a rather random appearance and, until recently, have been labeled and discarded as chaotic and unintelligible. With the advent of computer systems and powerful processors, it has become easier to map chaotic behavior and find interesting underpinnings of order. The newly discovered underlying order to chaos sparked new interest and inspired more research in the field of chaos theory. The recent focus of most of the research on chaos theory is primarily rooted in these underlying patterns found in an otherwise chaotic environment, more specifically, concepts such as self-organization, bifurcation, and self-similarity. Self-organization, as opposed to natural or social selection, is a dynamic change within the organization where system changes are made by recalculating, re-inventing and modifying its structure in order to adapt, survive, grow, and develop. Self-organization is the result of re-invention and creative adaptation due to the introduction of, or being in a constant state of, perturbed equilibrium. One example of an organization which exists in a constant state of perturbation is that of the learning organization, which is “one that allows self-organization, rather than attempting to control the bifurcation through planned change.” (Dooley, 1995) Being “off-balance” lends itself to regrouping and re-evaluating the system’s present state in order to make needed adjustments and regain control and equilibrium. By understanding and introducing the element of punctuated equilibrium (chaos) while facilitating networks for growth, an organization can change gears from “cruise” to “turbo” in regard to speed and intensity of organizational change. While maintaining an equilibrial state seems to be an intuitively rational method for enabling an organization to gain a sense of consistency and solidarity, existing on the edge of a chaotic state remains the most beneficial environment for systems to flourish develop and grow. For instance, two competing organizations that differ in regard to their levels of homeostasis will not be in competition for long. Generally speaking, the organization with the less-stable structure will come out ahead while the constant stability of the latter will eventually lead to its own demise. Although quite similar, small differences in homeostasis levels are enough to make a tremendous difference in future outcomes for each organization. The notion of similarity in origin vs. dissimilar results comes to fruition with the emergence of bifurcation.